Usually the networks take a break from cancelations and renewals this time of year. After all, there are a lot of new and returning shows vying for airtime at midseason. Regardless, this week at the Television Critics Association Press tour, the CW has done something quite unprecedented: the network has already decided to renew eight TV shows for the 2015-2016 TV season. If you are a fan of Arrow, The Flash or more, go ahead and take a minute to breathe a sigh of relief. The eight shows that will be returning for the 2015-2016 season are Arrow, The Flash, Jane The Virgin, Supernatural, Reign, The Originals, The 100 and The Vampire Diaries. Of these, a few shows were clearly going to get a new season. The Flash has routinely been crushing in the ratings since it premiered and Arrow has been holding steady, except during the crossover with The Flash, during which ratings actually increased. There should have been no doubt in anyone’s mind that the DC comics-based shows would not get a renewal. Regardless, it’s still great, great news for fans that The CW went ahead and announced its renewal orders early. Reign, for instance, was a drama that was definitely on the bubble in terms of its ratings. Plus, since the show is currently only airing its second season, it didn’t have the syndication cushion that third season shows get over at the CW. So, it’s huge news that the network is renewing this one early. 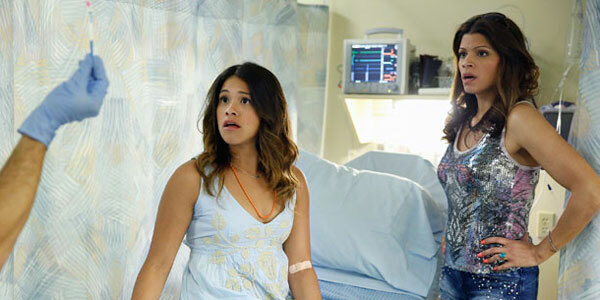 Jane the Virgin is another low-rated show that wouldn’t necessarily earn another season. However, the freshman drama has impressed people critically and lead Gina Rodriguez is even up for a Golden Globe award tonight. Whether or not she ends up nabbing that award, the CW is earning a level of critical acclaim with its freshman series that the network usually never receives. It doesn’t shock me that the CW would want to keep that momentum going. As for the other programs, The 100 is down a bit from the show’s first season ratings, but isn’t a disaster. Supernatural will be headed into Season 11 next year, and although ratings are down from the show’s heyday, it’s still a steady performer. And when it comes to the sister shows The Vampire Diaries and The Originals, there are a lot of opportunities for characters to crossover and for fans to seriously engage with the show’s lore and mythology, similar to Arrow and The Flash. Those renewals were already more likely, but it’s still nice to hear the shows will return to the schedule. The CW doesn’t have a lot of lineup slots to fill. Hart of Dixie is ending this year, and Beauty and the Beast has been missing in action. I’m not sure how today’s 8 renewals will affect the new shows the CW will air at midseason, like iZombie and The Messengers. We’ll keep you posted. In the meantime, find out when all of your new favorite shows are returning, here.